The APEX awards are judged and presented by The Digital Signage Federation. 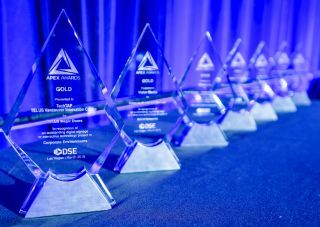 Digital Signage Expo (DSE) announced the winners of the 2019 APEX Awards. The announcement was made at the 15th Annual APEX Awards Ceremony on March 27 in Las Vegas. The APEX awards are judged and presented by The Digital Signage Federation.